Easy meny, great food served quick, friendly staff, great value for the money. Good value for money but the indian food is more catered for the non-indian pallet, the mutter paneer was very chewy and over fried. The starters where lovely and the chutneys to go with it was nice also. The atmosphere and décor is nice and toilets clean. The music was great and we enjoyed singing a lot it it. It wasn't too loud so you can have a decent conversation with your company. The service was good and they were attentive. "I love the relaxed feel of this place – like a comfortable dining room in a friends home. I definitely would return to try more dishes. Everyone loved the bhindi. Service was well-timed and friendly, beers selection were good." Good food! i had the butterchicken with a nice non alcoholic coctail. Swift service. Menu was't too elaborate and had something for everybody. Restaurant has a basic cantine like feel to it which I quiet liked. i woudl recommend this rstaurant. Lovely food. Friendly attentive staff. Great value for money. Great food! Definitely coming again. Service is very good and wait for food was not long at all. Everything about this place is great except one thing: the television! Keep the music, lose the distraction. 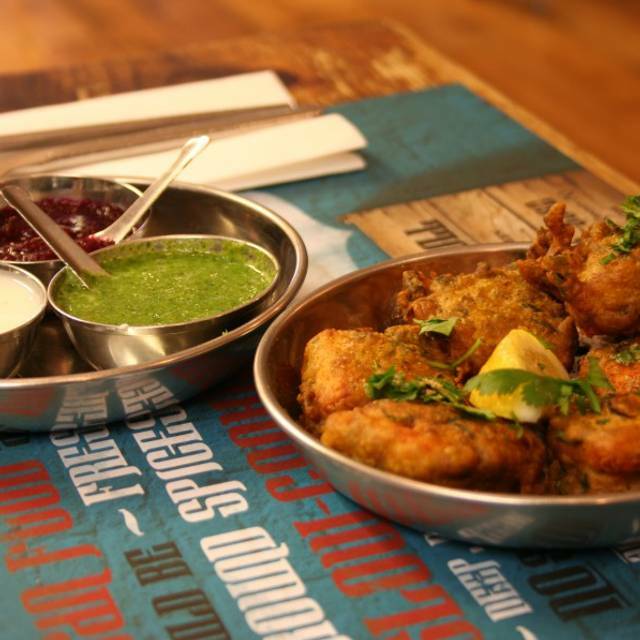 Authentic Indian cuisine, only a 15-20 minute walk from King's Cross. Delicious and good quality food for a very reasonable price. The mocktails were really cheap and lovely too! Will definitely be back next time we're in London. Really enjoyable dining experience. Excellent food with friendly service. In my group were two of Indian decent. They said it was genuine Indian food, so not an English curry house. Have been before and will continue to go. Great value. Home cooked Indian. Not bad not great. 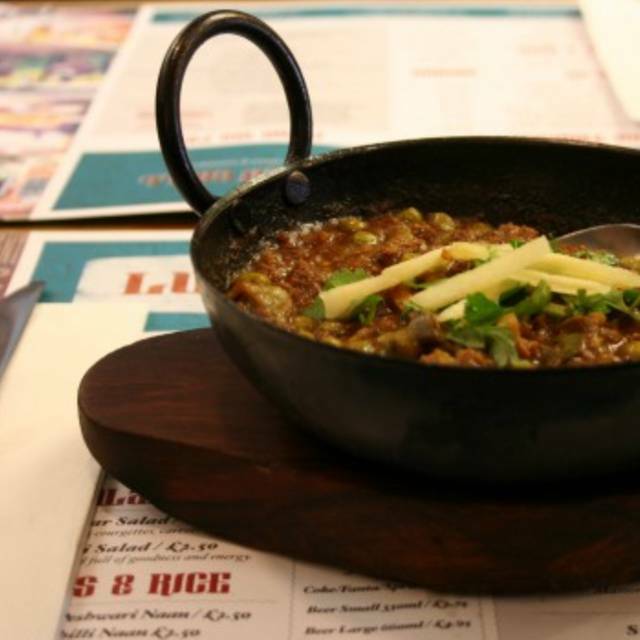 Food, ambience and overall feel of the restaurant looked a lot better in the photographs. Very friendly staff, delicious food, good value for money. I went with a friend and we shared a few different things off the menu. Everything was really nice and fresh. Good selection of vegan meals as well! Highly recommend but book a table if you want to get in, it gets busy. As usual, the food was very tasty and great value. Service very good, gives plenty of time for a pre-theatre meal. Great place for authentic Indian food. It is spicy, well cooked and aptly priced. Would love to go back! Nice food but we didn't like desserts, felt like they are bit of waste of money. Not your usual Indian. Quirky and cosy both at the same time. Some foods were expeptional. My personal favourite were the crispy bhajias and the naan is super soft. 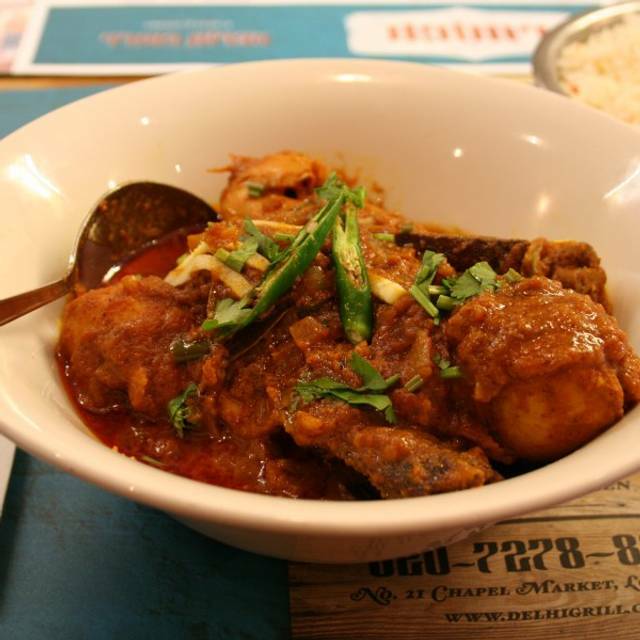 Flavours in the curries could do with a bit more kick. Overall it’s worth visiting. As usual my latest visit to Delhi Grill delivered good food, good service and good value. The best curry with the best staff. The food is incredible, especially for the price! Had the spicy fish skewer, okra, and the chicken off the bone, as well as poppadom and cutneys and everything me and my friend ate was utterly delicious! Best of all, the whole meal came out to a little over £17 for each of us, a total steal considering how amazing the food was and how much we ordered! The plate sizes are definitely for tapas-style sharing - I would get three or so for two people. Would thoroughly recommend to others and would go again! We always like the Delhi, which is why we often return there. Best restaurant that I have visited in serving authentic Indian cuisine. Very reasonably priced and service was excellent. Like a lot of people who visit restaurants, I also relied on reviews from other people. We wanted to go to Dishoom in Kings X but when we got there, there were about a 100 people queueing up outside at 8pm. 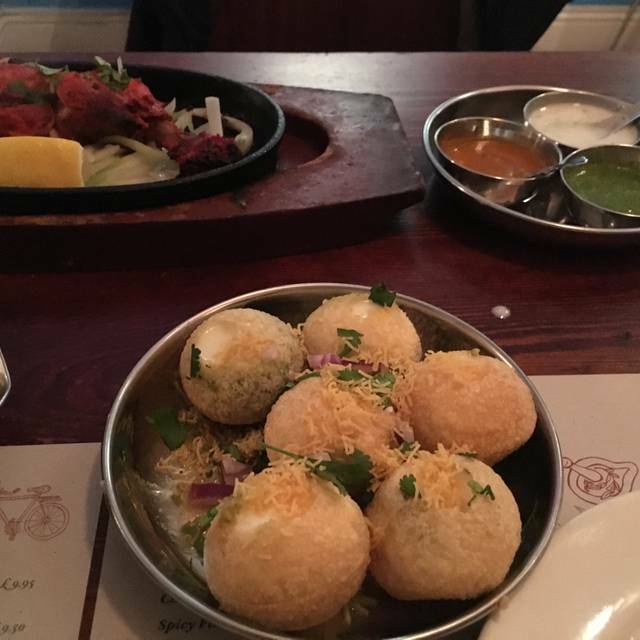 So we decided to give Delhi Grill a try in Islington. A short Uber there and we decided to all go for the £26 a head set meal which included a drink, and ordered some extra lamb chops on the side. I would say the food was average at best, no real highlights but edible. Naan bread and rice were nice. We also felt there was enough food for 5 hungry blokes who had a few beers beforehand. My biggest disappointment were the lamb chops. Quite scrappy and not pink inside which is how lamb chops should be. Not a lot of meat on those either so that was disappointing. We wouldn't go back but there was enough food. Great value, cool venue, food was tasty but not amazing but overall a definite good spot for an easy, cheap dinner. Nice cosy place, with brilliant Bollywood filmy ambience.. The grill Menu was delicious & curry was ok.
Had a lovely evening food was delicious. Would recommend set menu. Couldn’t fault this place. 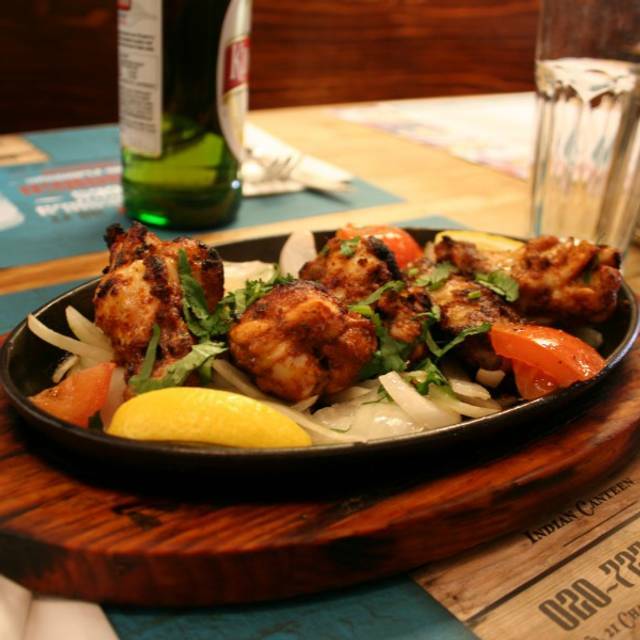 Healthy veg options and great chicken/fish tikka. Food was ok for the price, tandori chicken was nice , however tarka Daal was not up to the mark. Beautiful food and a lovely place for a date night! 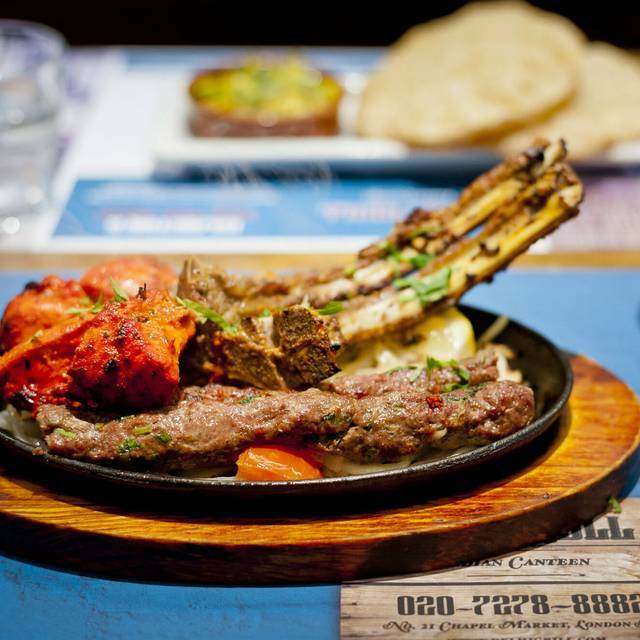 Delhi Grill is one of my favourite restaurants in London. The food is delicious and great value. 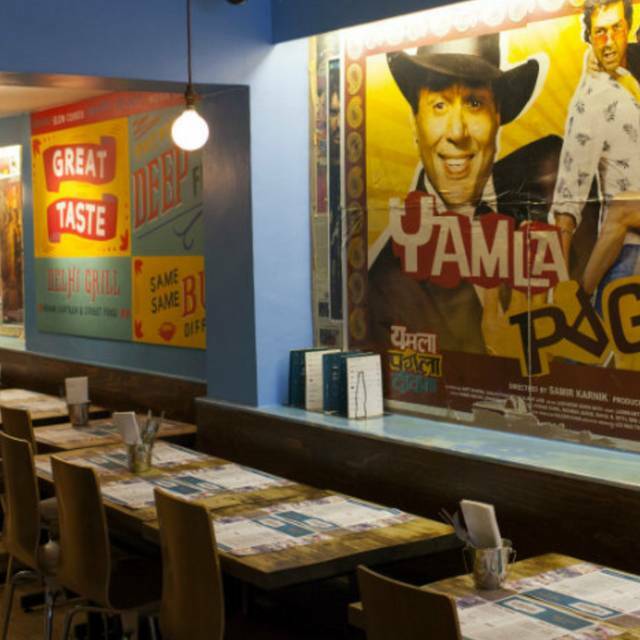 The place is decorated in a fun Bollywood style and even if it's busy you can still have a good conversation. Service is always good as well and I have never been disappointed by any of the dishes. Food was delicious however all the meat dishes we had were very over cooked, the meat was dry and chewy. Also the service was awful, the body language and way the waiters spoke was like they couldn’t be bothered, we felt very unwelcome and almost as if we were an annoyance to them just by being there. We shared 3 small plates for our starter and as they cleared these they immediately put our mains down on the table, we really could’ve done with 5 mins or so in between courses. The restaurant wasn’t t busy so there was no need to rush us, terrible pacing of the whole meal. We might even have got another round of drinks between courses but weren’t given the chance to digest the first one! Always excellent. If you like quality Indian food, go here! This Indian restaurants food is very good. No complaints other than the prices are a little bit high, especially considering the curries don't come with rice. Great food, very well presented in a quirky fairly modern but very friendly atmosphere. 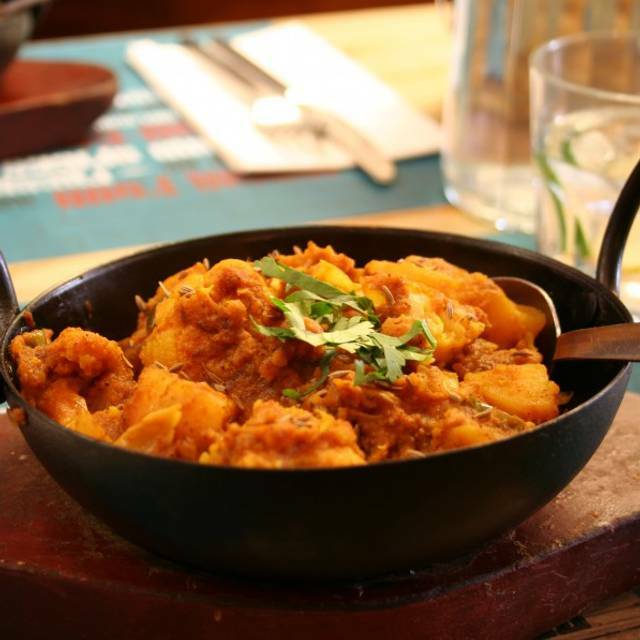 Good Indian food is easy to find if you eat meat as the most popular dishes are always good, however my girlfriend struggles to find good vegetarian curries. She loved her food here though.